We decided to spend a few days in St. Louis over the summer and had a great time exploring the area as a family. 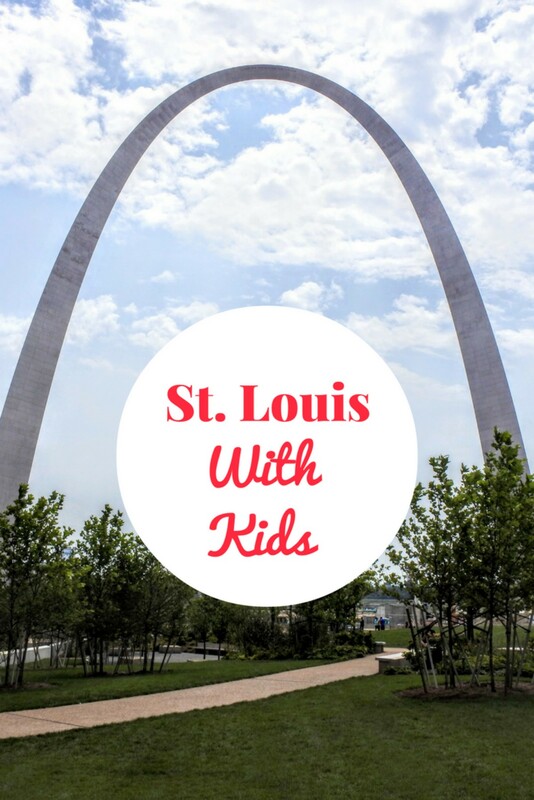 There are so many things to do in St. Louis with kids! Here are the best summer activities we did in St. Louis. 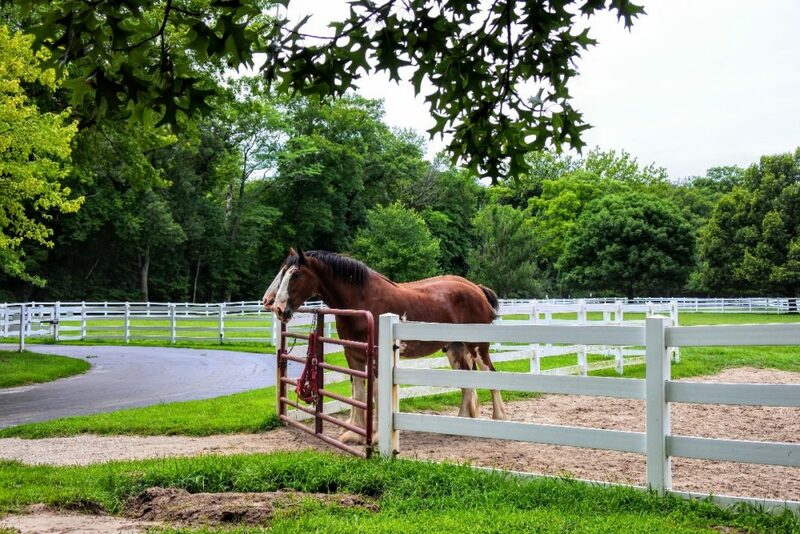 The 281 acres of land that was once the home of the Busch family now houses the Budweiser Clydesdales. 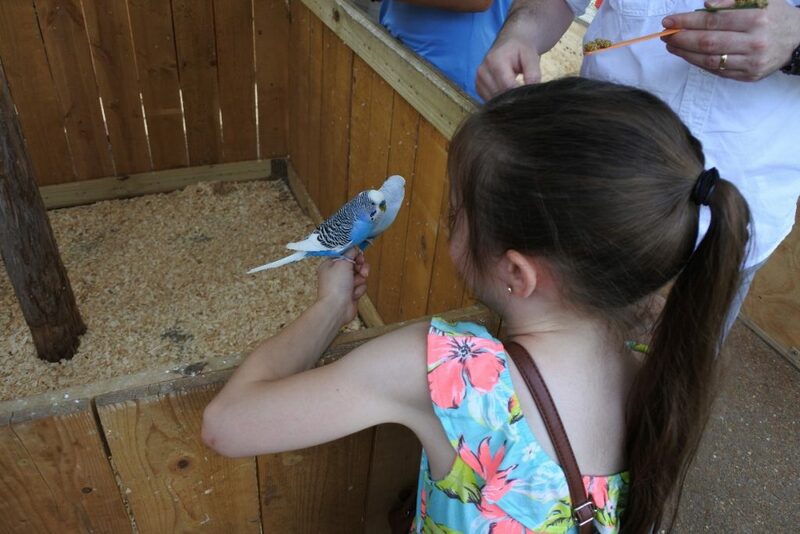 There are many opportunities to interact with and see animals here. 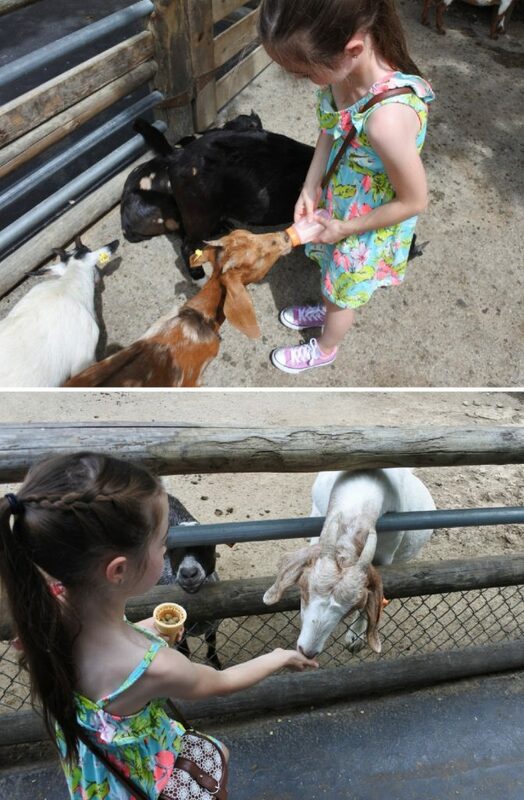 Elizabeth loved feeding a bottle to baby goats, food pellets to the older goats and having parakeets land on her arm to eat birdseed on a stick. There is a fee for parking and some of the experiences, but general admission was free. 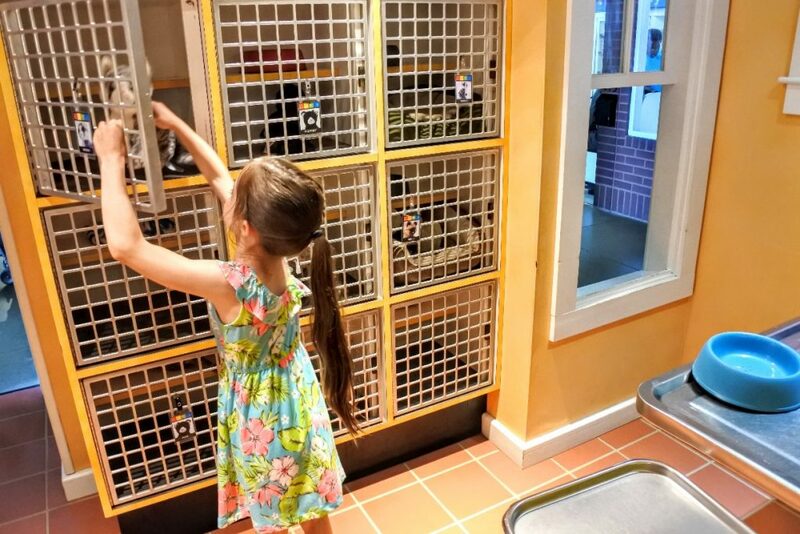 There are 3 levels of interactive fun at this children’s museum. This is the best children’s museum we have ever been to as a family. 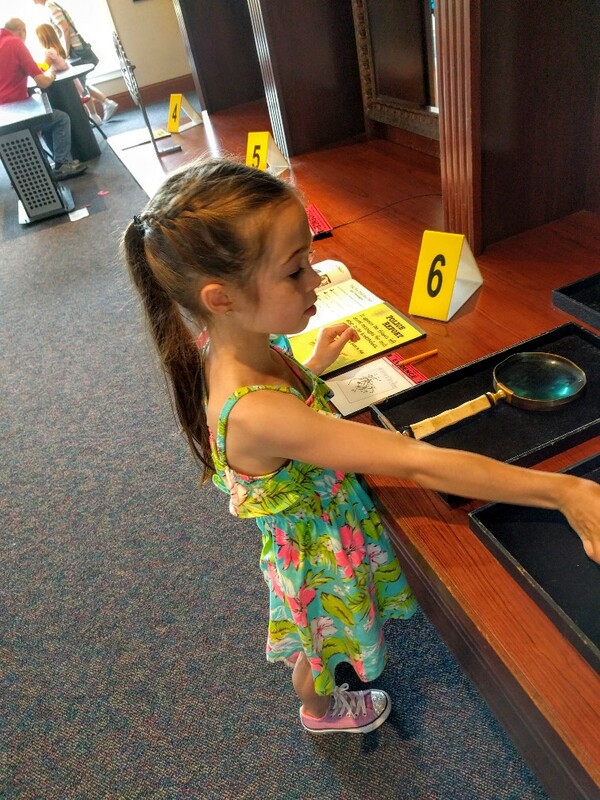 The “Solve the Mystery” exhibit was stellar. 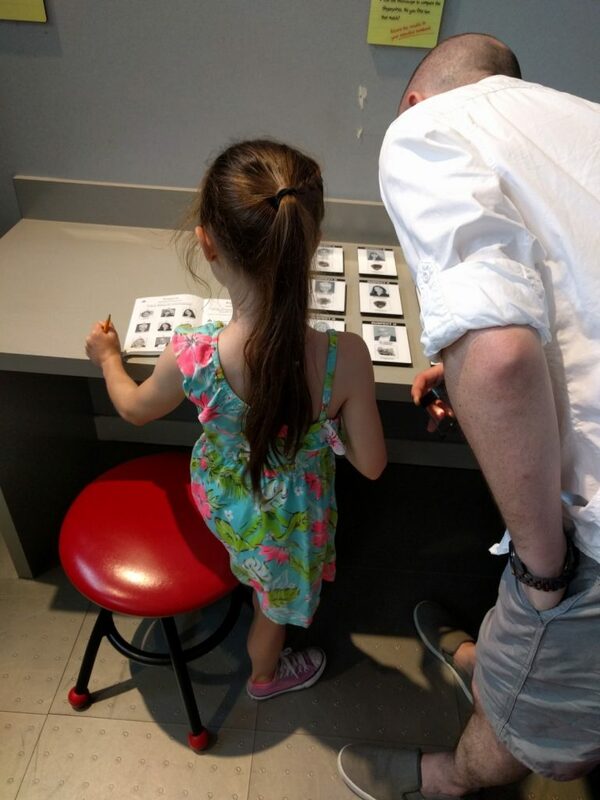 This exhibit took you through solving a mystery from field work at the crime scene to processing and evaluating clues back at the lab to find the perpetrator. Even us grown ups had fun in this exhibit. Kids were also able to explore a town just their size with a library, pizza parlor, fishing spot and veterinarian clinic among other businesses. 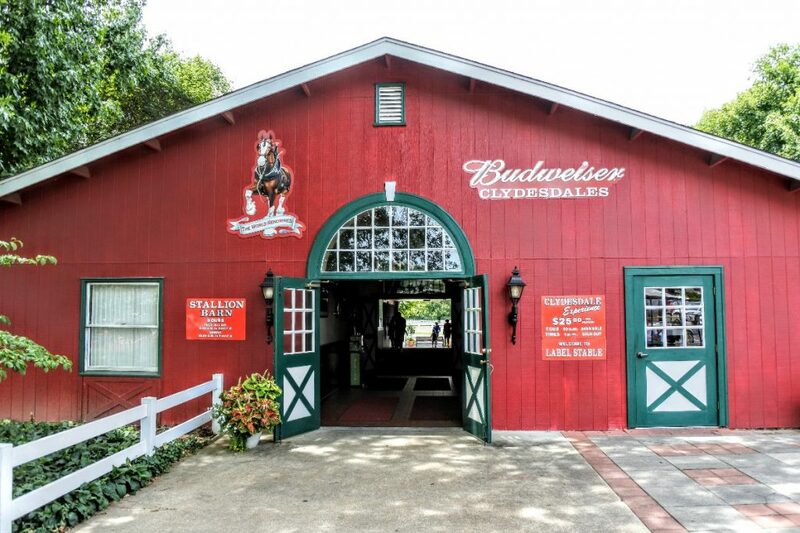 There were so many exhibits you will be sure to have a great time at this hand-on museum. I don’t know why anyone would ever call this place a museum. There are no educational displays or art. What you will find there is a crazy assortment of re-purposed items built into the kookiest multi-floor indoor/outdoor jungle gym you could imagine. Knee pads are recommended for adults, but we just opted for pants instead of shorts that day. 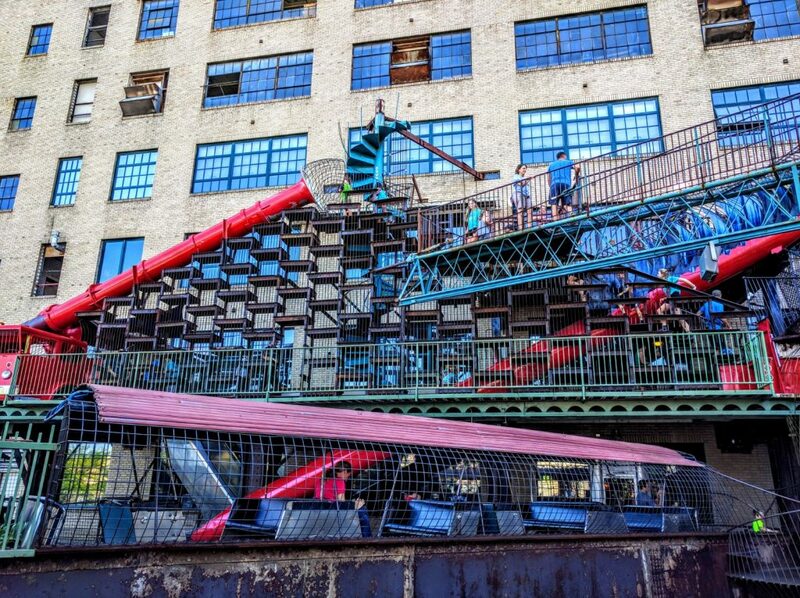 The City Museum may be better suited for older kids who you feel comfortable allowing to explore on their own. 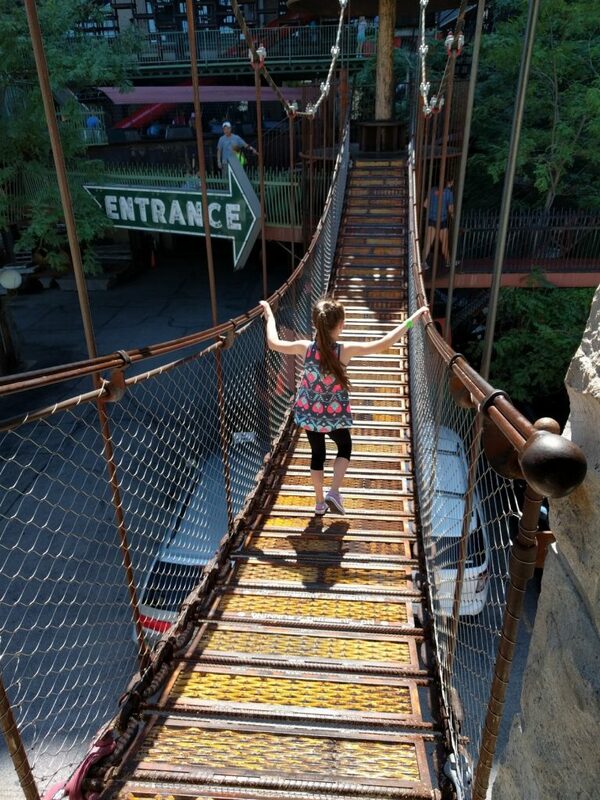 For us, we wanted to keep an eye on Elizabeth so there was some crazy squeezing into places and climbing for Mr. Smart Mouse and I.
Shockingly, we all had a fun time exploring the City Museum for a couple of hours. Do you have tickets for a Cardinals game? Great! 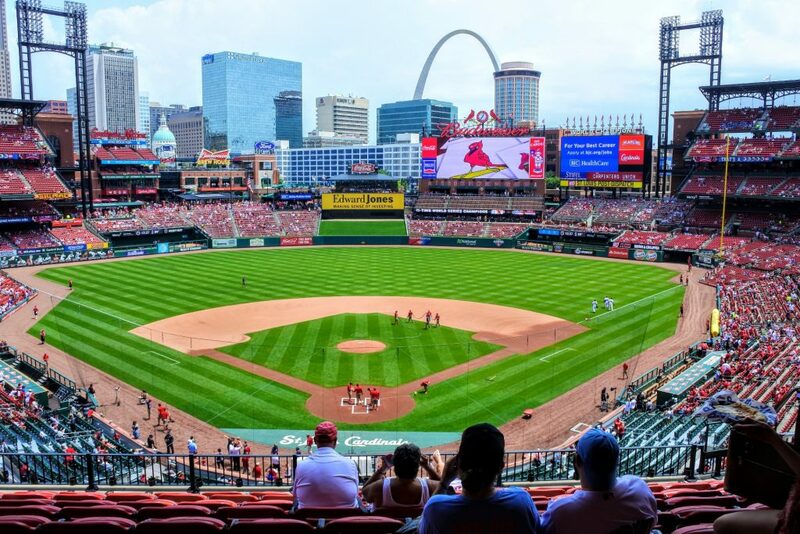 Head into Busch Stadium early and explore this beautiful ballpark. There is a small Build-a-Bear inside the park where you can get a bear or Fred Bird with some coordinating Cardinal’s gear. We were also lucky enough to meet Fred Bird (the mascot) near the Build-a-Bear store when we were looking around the park. Now go enjoy the game and some snacks! No Ticket? No Problem! Across the street from Busch Stadium is Ball Park Village. Grab a spot early at one of the several places to eat inside or see if you can grab a spot (for a fee) on one of the rooftop viewing decks. It is fully Cardinal Nation inside Ball Park Village so expect lots of excited baseball fans wearing red. We stopped to check it out before heading into Busch stadium for the game. Ball Park Village was like a huge family friendly sports bar. This was another museum we loved in the St. Louis area. General admission is free, but certain experiences and exhibits have a fee. There were a few stand out exhibits we thought were especially intriguing. Life Sciences Lab. Here lab stations are set up with different science experiments. You wait in a line and when a station opens up a staff member outfits you in goggles and a lab coat. The staff then walks you to the station and explains how to work the computer guide. Each station has a different self led experiment where a computer prompts you through all the steps of the experiment. Mission Mars: Control and Mission Mars: Base. 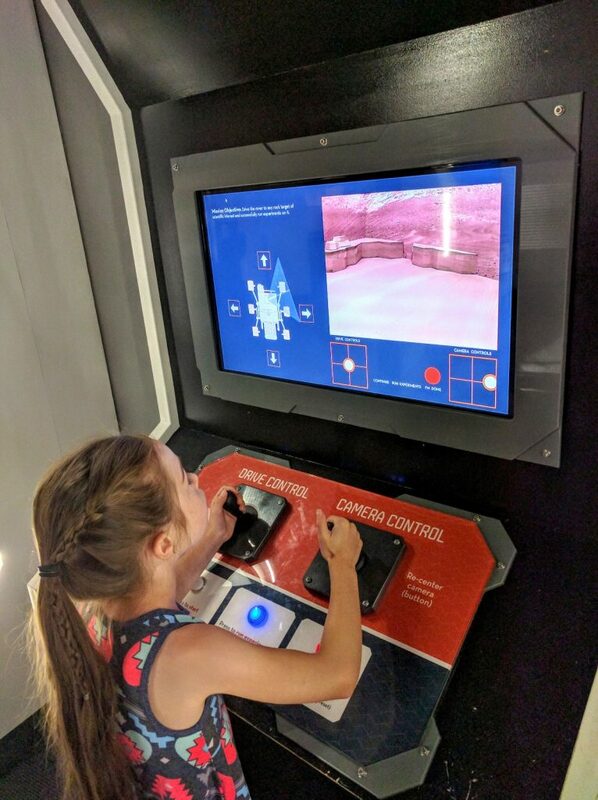 In this 2 part exhibit you can control a Mars rover in the Mission Mars: Control area using the same type of information real NASA scientists use. You run a mock test of steps to get your rover into position for a soil or rock sample. The simulation runs and you see if you would successfully complete the sample or if your rover would become damaged or stuck. The really cool thing is that you are actually controlling a rover in the Planetarium which is across the highway from Mission Mars: Control. 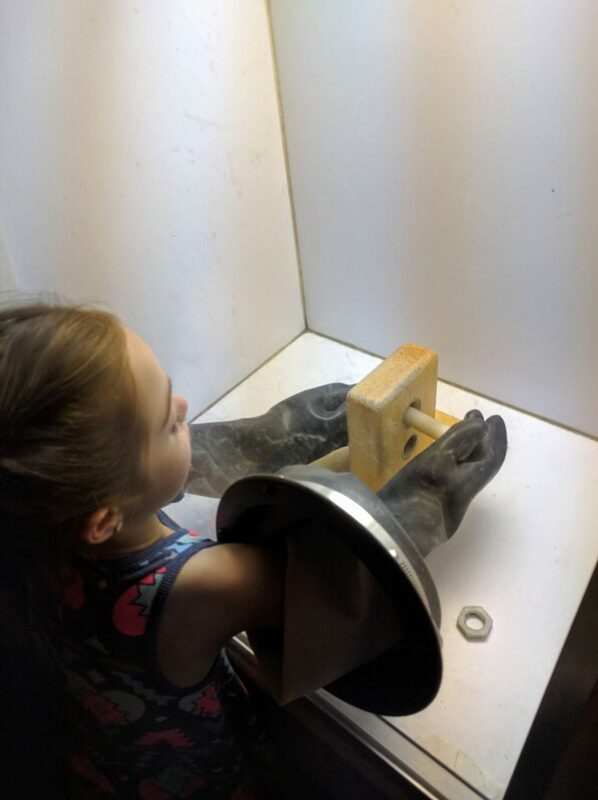 It gives kids a good idea of how challenging it is to do experiments remotely. When you are in Mission Mars: Base you can visualize how scientists would conduct experiments on the surface of Mars. Live Sky. This was a 25 minute show in the Orthwein StarBay. Here a guide walked us through many of the constellations that could be seen in the St. Louis night sky that evening (if there was no light pollution). It is a great overview for your star gazer. After the show you have a brief time to walk through the Boeing Space Station where you can learn more about how astronauts live and work in space. Although this is a restaurant, I am including it in my overview of our favorite St. Louis activities. This is because you can see their delicious sodas being bottled while you eat. Having soda is a big deal for Elizabeth. She has a corn allergy which usually excludes most fun drinks at restaurants. 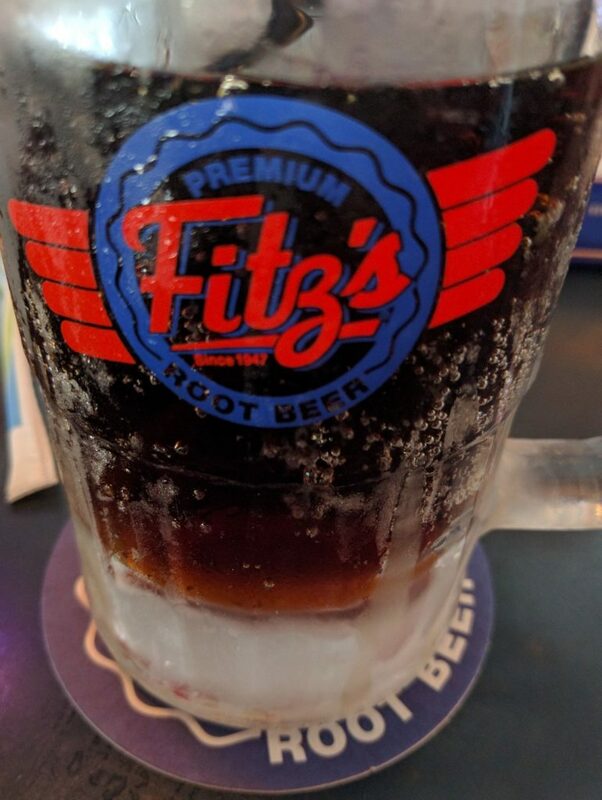 Fitz’s makes their own sodas and uses REAL SUGAR! We all ordered different flavors and they were all amazing. Did I mention they served the soda in a frozen mug?! Delicious and refreshing. The staff also went out of their way to help me find a food option for Elizabeth that did not contain corn. Having her own huge mug of orange soda was a highlight of Elizabeth’s trip to St. Louis. The wait can be long, but we didn’t mind. Make sure you check the bottling schedule before you go. We stayed in downtown St. Louis, but quickly discovered that everything is about 30 minutes away from everything else in the St. Louis area. Next time we would probably choose one of the suburbs for a more cost effective room. Overall, St. Louis is a great long weekend road trip from Chicago. I was skeptical, but there are so many fun activities that are very reasonably priced or even free. I highly recommend a trip to St. Louis with kids – it is fun for everyone in the family! Fun! We are headed to St Louis next month! I am pinning this for sure.